Texting has become a major communication medium. SMS is instant and the types of messages sent can go far beyond what your daughter’s best friend is wearing tonight. More businesses are using business texting to reach more of their customers and potential prospects in a more direct way. “Communication is the lifeblood of productivity,” says middle market professional Kyle Emmons. In business, communication is how we get things done. It’s global – everyone has an email account. You can send one email to groups of people; you can “blind carbon copy” managers. Email provides a written record that includes a history of replies and forwards. It’s fast but remains the slowest form of technical communication. You don’t really know when it’s delivered or read. Email spam accounts for approximately 68.9%+ of all email. Email remains the primary means of spreading malware. It’s available anywhere, 24/7 and non-proprietary; allowing customers to communicate despite different service providers. The alert can be intrusive, which is why having “cell phones off” is requested at most meetings. Recent conversations can be referenced, but long-term history is iffy. Can be acted upon in a more efficient way than traditional text messages. 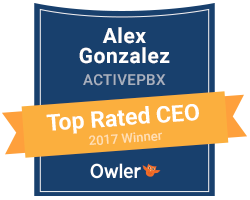 When information speed, verification, and history matter, contact ActivePBX to enjoy a more unified inbox.